12/12/2012: HTC pen a sponsorship deal with UEFA, O2 set to raise prices and they got into trouble with regulators, Blackberry L-Series devices caught on video and much more! HTC and UEFA agree a sponsorship deal. At the moment HTC is having a bit of a hard time of it. They're One series has become diluted, despite the company saying they would focus on a core set of devices, but they seem to have a few tricks up their sleeve to make it all smiles again. Today they have announced that they will have a three-year deal with UEFA, which is Europe's Footballing authority. This will mean that HTC will have their logo plastered across match tickets, broadcast credits and match photographers' jackets. We expect HTC will have some pitchside adverts too! The Taiwanese company also promised to give customers access to match footage and archive broadcasts. Peter Chou, who's HTC's CEO, said: 'Football elicits so much passion around the world and we are excited to partner with one of the leading sporting brands in the world. We’ll be working closely with UEFA to offer football experiences to all fans in addition to providing a richer overall mobile experience.' We would like to see some dedicated apps which are exclusive to HTC devices, but that might be a push too far! UEFA's general secretary, Gianni Infantino, said: 'I am pleased to welcome HTC to the UEFA Champions League and the UEFA Europa League family. Through this partnership UEFA and HTC will promote European club football to a worldwide audience and bring new opportunities for our fans to engage with the competitions. We value the support and commitment of HTC and anticipate their involvement with these competitions will increase the profile of their brand on a global scale. This seems like a worthwhile investment from HTC and this will definitely get them a lot of brand exposure in European countries at the very least! O2 in trouble with ASA and possibly with you! UK carrier O2 has found themselves in a spot of hot water today after their misleading claim that prospective iPhone 5 buyers get their 'pre-order [to O2] before 4pm the day before launch, we'll get it to you on launch day'. What they didn't make clear is that there was a limited amount of stock and once those 'pre-orders' were exhausted it was a 'standard order' and so you would have to wait up to three weeks to receive your phone. The Advertising Standards Authority thinks O2 was a little out of line here and they've "ordered that the claim must not again appear in its current form and that the distinction between pre-orders and standard orders must be clarified" for next time. If you weren't affected by the first issue above, then every O2 customer is about to be affected by this second announcement. "From 28 February 2013, your line rental will go up by 3.2 [percent]. That's in line with the current rate of inflation as at December 2012 when we made the announcement." It's never popular when carriers utilise this small print in people's contracts. But, this will mean that if your contract is currently £15.50 a month contract then it'll soon be £16 and your £31 tariff will shoot up to a penny short of £32. O2 has calculator on its website so you can find out the damage! 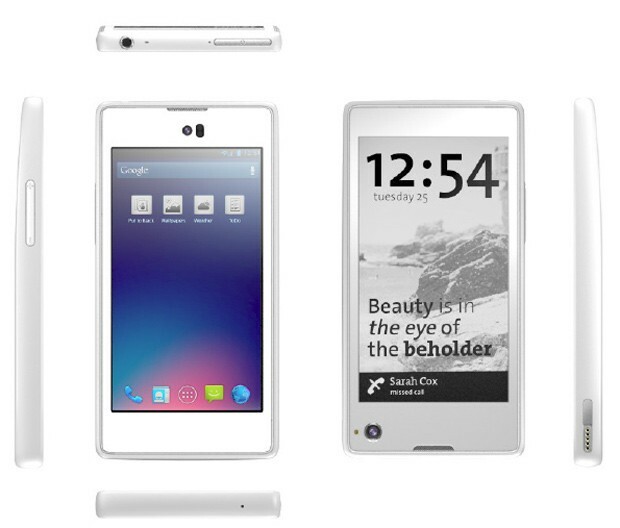 RIM's upcoming L-Series device has been shown off on camera today after Tinhte showed off a set of pictures last night! They've made the video below for your viewing pleasure! Google's Eric Schmidt has today been on stage at The New York Times' Dealbook conference today, and he's made a bit of news concerning the company's big broadband effort, Google Fiber. Schmidt said that Fiber "isn't just an experiment, it's a real business and we're trying to decide where to expand next." * Edition sidebar - quickly access your editions within categories such as business, sports, etc. * Breaking stories - ranked by Google News. Links to full length content. The WSJ has again tipped Apple to make a TV, they've written a hugely detailed report on why they think it's back on the cards! You can check it out here! The research firm Informa has tipped budget smartphones to make up 52% of the market by 2017! This demand would be driven by emerging markets and would see phones costing less than $150 becoming the norm. This would be bad news for companies profits as it would turn the market into a more quantity focused affair! Sky has updated its Sky+ app for iOS with on-demand listings something which will allow your iPad or iPhone to a remotely control film and boxset downloads that get sent to your Sky+HD box. You can scroll through the Sky TV On Demand catalog and queue the things you want to watch while people in the house are playing with the box itself! Acer has released a slightly beefier version of their recent Chromebook. This time they've kept the screen and processor but they've bumped storage up to 500GB's from 320, doubled the battery size to 5,000 mAh pack and they've add $100 to the price tag so this one will set you back $300! You can find full details here! Dell will officially be ceasing smartphone production from today! The company was famous for their huge (at the time) Dell Streak 5! But, from here on out Dell will stay committed to their computers and Windows based tablets. There's still the possibility that Dell is still looking at Android, but don't get your hopes up too much guys! And finally, this is Russia's finest new smartphone called the YotaPhone. It's an interesting new phone it's got a Gorilla Glass 4.3-inch 720 x 1,280 LCD display on the front, a 200dpi E Ink rear display with the same same size and screen protection on the back. There's also a dual-core 1.5GHz Snapdragon S4 processor with 2GB of RAM and there's a minimum of 32GB of non-expandable storage. On top of that there's LTE, a 12-megapixel rear camera and a 720p front-facing camera! This certainly looks like a fantastic device and we love the implementation of the eInk screen, it'd be great for the cheeky notification readings as it's always on!